Susan Haedicke completed her PhD at University of Michigan/Ann Arbor (USA). Before coming to University of Warwick, Susan taught in the United States at University of Maryland/College Park, The George Washington University, Mount Holyoke College, and University of Massachusetts/Amherst. Susan joined the department at Warwick in 2007 where she has continued to develop her research and teaching interests in dramaturgy and contemporary performance focusing primarily on performance and agriculture, sperformances in public spaces, applied theatre, and socially-engaged performance. She has designed modules in European Street Theatre, Dramaturgy, Adaptation for Performance, Contemporary American Theatre, Socially-Engaged Performance, and Contemporary Performance Practices. Susan also supervises undergraduate students in practical projects and research topics and graduate students in contemporary performance, applied theatre and performance in public spaces. My current research, including practice-as-research, focuses on performance and agriculture and performing'farmscapes' (how farmlands 'perform' on and off stage). I am also currently involved in a practice-as-research project on women in UK agriculture to be performed in January 2018. 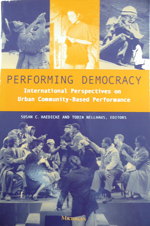 This current research focus grew out of my interest in performance in public spaces and various aspects of European street arts and site-specific performance. 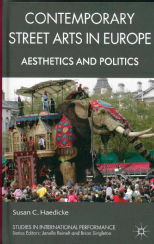 The research on street arts resulted in several conference papers, book chapters, journal articles, and a book entitled Contemporary Street Arts in Europe: Aesthetics and Politics. As a result of that research, I was invited to participate in the Nomadic University 2008 (a three-day practice-based colloquium in Aurillac, France that looked at street arts activities across the EU with invited artists, programmers, or scholars from each EU country) and its annual follow-up colloquiums, Street Arts Winter Academy since 2011 that explore street arts and pedagogy with educators and artists. In 2009 and 2013, I was asked to evaluate the final projects of students at FAI AR (Formation Avancée et Itinérante des Arts de la Rue), a professional street arts training programme, and in 2009 and 2010, I judged performances for the prize of “Best Street Performance” at MiramirO Street Theatre Festival, Ghent, Belgium. In May 2011, I was interviewed for “Doing It in the Street,” a BBC4 radio program on street theatre in the UK. I have also worked as a professional dramaturg in England, Poland, and the United States. My primary responsibilities are devising performance pieces and adapting non-theatrical texts. In addition, I established and directed “Inside French Theatre”, an annual summer study-abroad program that trained American students in physical theatre, stilts, and aerial acrobatics from 1999-2007. My practice-as-research develops from my work as dramaturg on devised or adapted pieces for the street or other non-traditional performance venues. 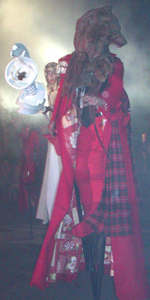 I adapted Macbeth for a processional street performance on stilts with Friches Théâtre Urbain that has been performed at festivals all over Europe, including the Thames River Walk in front of the National Theatre in 2005, and Korea. I also adapted Hamlet for a clown performance and devised a piece on immigration to the United States for Infinite Stage. These pieces were performed at Fringe Festivals in New York City and Washington, D.C. 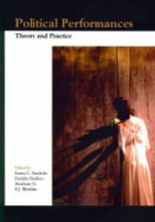 Member of the Executive Committee for IFTR (International Federation for Theatre Research) (2007-10, 2013-18).